Bozeman is a premier travel destination for any season. In the warmer, summer months get out on the trails for a day hike or backpacking trip in the Gallatin or Bridger mountains, enjoy some of the West's best fly-fishing on the Madison River, or raft the Gallatin River. In the snowy months, hit the slopes at Bridger Bowl to ski the cold smoke, or take the short drive to Big Sky. There are so many thing to do, see and explore in and around Bozeman! Any time of year, relax in historic downtown Bozeman, taking in the local culture: grab dinner at Open Range, coffee at Wild Joes, or simply walk Main Street, wandering the local bookstores and shops. For a good burger and great, local beer, stop in Bacchus Pub beneath the historic Hotel Baxter. Also, for a night out, the Ellen Theatre in downtown Bozeman is the perfect spot to catch the latest independent film or documentary. As if there weren't enough reasons to visit, just ninety miles from Yellowstone National Park, Bozeman is southwest Montanas prime gateway to hiking, fishing, climbing, and skiing. Come any time of year for a balanced blend of the outdoors and local food and drinks. 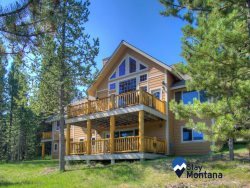 Start planning your Bozeman vacation today and be check out our available Bozeman vacation rentals to find the perfect place for your stay. Cozy Downtown Hideaway - pet friendly! Trail Runners Bliss - close to Bridger Creek Golf Course and view of the Bridger Mountains! Charming Bridger Hideaway with Bridger Mountain view and near Bridger Creek Golf Course - pet friendly!